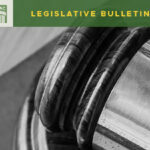 Along with the release of their Capital Budget proposal (SSB 5134), the Senate also recently proposed SB 5993, a measure intended to reform the financial structure of the model toxics control program. The model toxics control program is administered by the Department of Ecology, under the authority of the Model Toxics Control Act (MTCA). MTCA is the state’s environmental cleanup law. It authorizes work related to cleaning up contaminated sites and preventing the creation of new sites. Funding is provided for MTCA-related programs and projects from a tax on hazardous substances like petroleum products, pesticides and other chemicals. The tax was first enacted in 1988 when voters approved Initiative 97. Revenues generated by the tax are intended for use by state and local governments for toxic cleanup, management and prevention activities. The hazardous substance tax is also the source of funding for Local Solid Waste Financial Assistance (LSWFA) program funding that is provided to county solid waste management departments. These funds are for activities related to the creation and implementation of comprehensive solid waste management plans, including recycling and hazardous waste management programs. Reforming MTCA is not a new topic of conversation for the legislature. 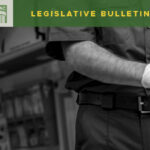 Various stakeholders, including WSAC and our affiliate, the Washington Association of County Solid Waste Managers (WACSWM) have long advocated for legislative action to address a variety of concerns related to how funding is collected and utilized. Program revenues have fluctuated significantly over the years as a result of rising and falling gas prices. As wholesale oil prices rise, so do the tax revenues. As oil prices drop, the taxes paid decline. During the great recession as oil prices were high and other state tax revenues were suffering, state budgets transferred funding from MTCA to other programs. 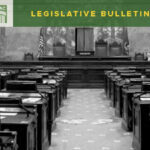 Unfortunately, little consideration was sometimes given in such transfers to whether the program receiving the funding met the original intended use for the MTCA and the hazardous substance tax passed by voters. Additionally, funding for several state agency programs, primarily for programs in the Department of Ecology, were moved in the state budget from being supported by the state general fund to being supported by MTCA revenues. Predictably, after the recession and as wholesale oil prices dropped, the tax revenues decreased dramatically, and the funding quickly became over-appropriated. As a result, program funding for LSWFA and funding for toxic site cleanup work was cut dramatically while diverted funding which supports programs previously supported by the state general fund remained unchanged. LSWFA appropriations decreased in the 2017-2019 biennium to $10 million, a significant cut from the previous high of $28.6 million in the 2011-2013 biennium. Local programs across the state have been reduced or eliminated and many counties were forced to significantly raise solid waste fees in order to make up the shortfalls. Increase revenue for the program. The bill also includes requirements to increase the volume-based tax over time, making it subject to the fiscal growth factor in RCW 43.135.025. The current tax has never been changed. Revenues under the new taxing structure are estimated to be approximately $600 million per biennium, compared to $375 million currently. Additionally, the new reforms are predicted to make significant bonding capacity in the capital budget that is currently utilized for MTCA-related operational and capital projects, and stormwater projects, available for other uses. The Senate assumed passage of this bill in its capital budget proposal, which included significant funding for toxic site clean up projects. The bill was heard in Senate Ways and Means shortly after it was proposed. In the hearing, testimony was presented both supporting and opposing the proposal. WSAC, the Association of Washington Cities and The Washington Public Ports Association joined several other entities providing testimony supporting the proposed reforms. Opposing the bill were the Western States Petroleum Association, The Association of Washington Business and others. Most testifying in opposition included the tax increase and lack of stakeholder input as reasons for their disagreement. Additionally, many also expressed the view that previous diversions of MTCA funds which have not been returned to the program, and current diversions which were never intended uses for MTCA, are responsible for the funding struggles and transparency concerns the bill seeks to address. The implication of such an argument is that if not for the legislative decisions in past budgets diverting funding from MTCA for other uses and subsequent lack of action to return the diverted funding in later years or to cease the ongoing program support that was previously funded by the general fund, the bill wouldn’t be necessary. 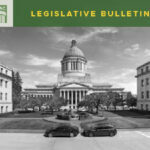 WSAC’s Legislative Steering Committee (LSC) considered SB 5993 at its meeting in Olympia on March 30th. An issue paper was presented by staff which included the recommendation to support the bill with the position that it provides stability to MTCA programs and has the potential to increase the revenue. LSC approved the staff recommendation. WSAC staff will continue working to improve funding for the LSWFA program and will support the passage of SB 5993. A lobbying effort, including members of WSAC, WACSWM, and environmental health program staff is being planned in Olympia for April 9th.